Dimensions: Approximately 3 feet wide and six feet long. Installation set up varies. 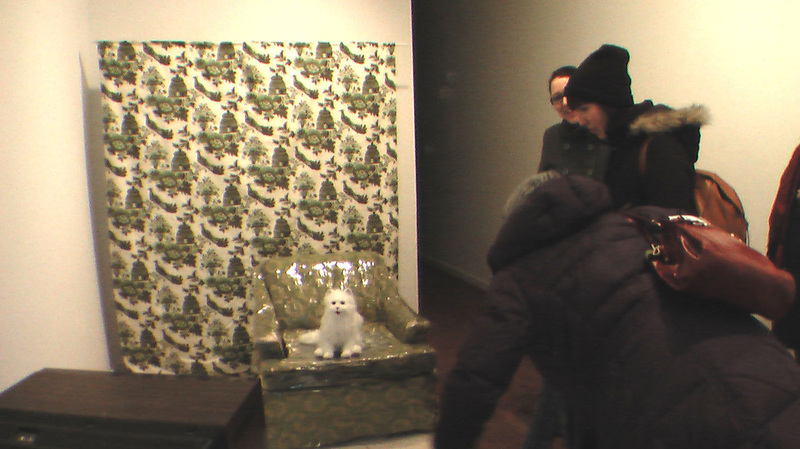 This is an installation that is reminiscent of a tableau. 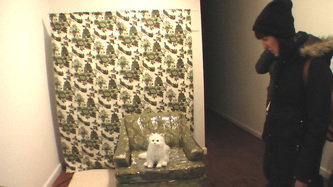 The photos depict the installation set up while the video shows the video component of the piece. 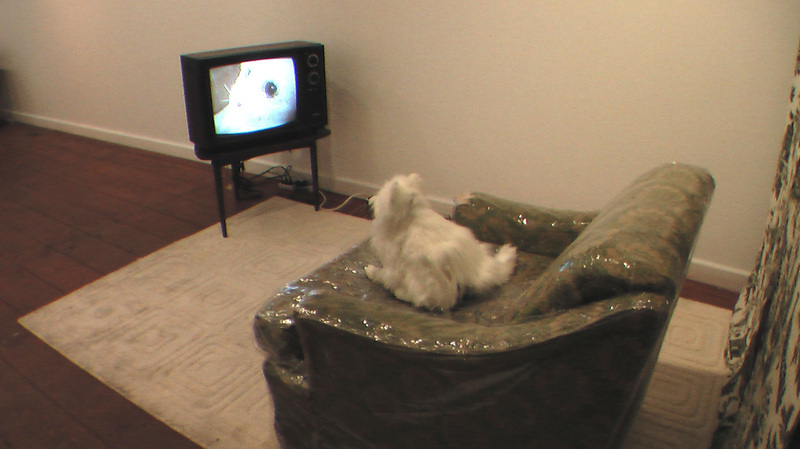 This video is what the cat and the viewer both see. The viewer enters the piece to find the mechanical cat crying because the video he is watching depicts a real cat. Perhaps this cat is aware it will never be a real cat, and is deeply saddened. Immanuel Kant combined logic to a practice of looking in order to divulge an innate, universal truth, and wholly to be the goal of a complete human experience. What is important to note in Kant’s dialogue on the sublime is its very nature as being achievable, provoked by nature, and fully realized when the subject is all too aware of its own mortality. Perhaps we can all sympathize with it when we find out certain harsh realities. I think if Jeff Koons had an animal it would be pretty miserable. But at least it would be beautiful too. 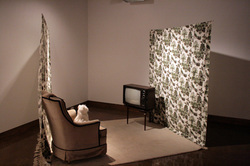 -“Mis[place]d: Animals Lost and Found” Curated by Elizabeth Underhill. XPACE Cultural Centre. Toronto, Ontario. January 2009. 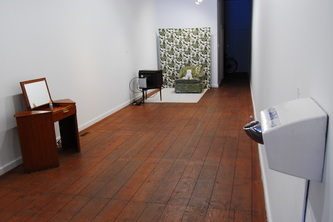 -“Other.world” Curated by Johnson Chou with Archive Art Gallery and Library for Redbull 381 Projects, Toronto, Ontario. September 13-October 26 2008.